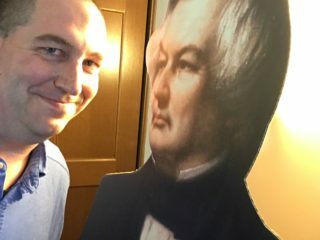 See him: James K. Polk had the shortest post-presidency of anyone who made it out of the job alive – just a mere three months. 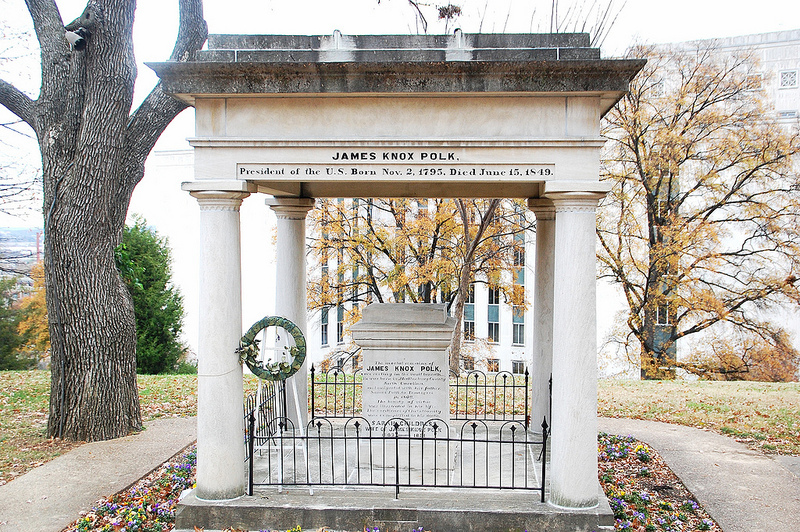 The 11th president had bought a house in Nashville he named Polk Place as his retirement home; instead the front yard of Polk Place played host to his tomb. Polk’s will called for Polk Place to go to the state of Tennessee after his widow’s death in the 1880’s, but instead of putting the house to use, the state tore it down, and the Polk tomb was moved to the grounds of the Tennessee State Capitol. That’s where you’ll find it today, though it’s easy to overlook because it’s behind a much more prominent memorial to Tennessee’s best-known president, Andrew Jackson.